Corona Cork Film Festival will host a fundraiser in association with NMCI Services and the Port of Cork on Cork Harbour Open day which takes place on September 10th at 5pm. The National Maritime College of Ireland (NMCI) will host the event which is entitled ‘The Amazing Cork Maritime Experience” this will be an evening of the arts, film and entertainment. 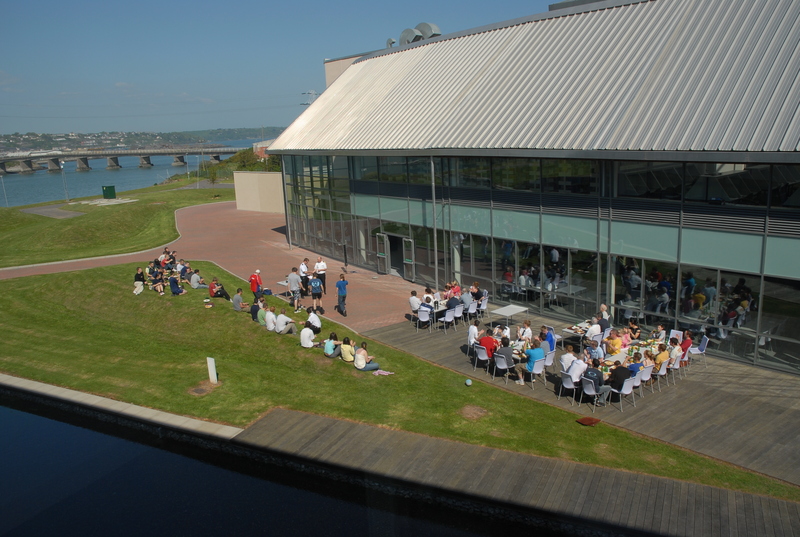 The fundraiser includes arrival via a Harbour Cruise, a Maritime Art Exhibition, Music on the lawn, a selection of Maritime Short-Films, Guided Tours of the College’s Facilities, and finally ‘The Great Cork Boat Race’ which is a remote controlled boat races with prizes. Minister for Agriculture, Food and the Marine Mr Simon Coveney T.D was at the NMCI to officially launch Cork Harbour Open Day 2011. This is the third year of event which aims to embrace and showcase what Cork Harbour has to offer and organisers are hopeful that the wide range of events will attract many people. The National Maritime College of Ireland will also be opening their doors to the public on this day from 12pm – 5pm and they will be providing free guided tours of their superb facilities. The tour includes a sea survival pool showcase that can demonstrate world class special effects that includes wave generation and strobe lighting. The multi million euro 270-degree Kongsberg simulator will also be on show. This will be opened to the public for the first time and is capable of simulating our very own harbour along with famous ports such as New York and Sydney harbour. These facilities are often used for Corporate Team building. This family friendly event will also have a face painter along with local food producers set up around the campus. Minister for Agriculture, Food and the Marine Mr Simon Coveney T.D was in Ringaskiddy at the National Maritime College of Ireland today to help promote Cork Harbour Open Day 2011. The event which takes place on Saturday 10th September is aimed at embracing and showcasing what Cork Harbour has to offer. Caption: L to R: Captain Hugh Tully Irish Navy, Val Cummins Director of MERC³, Simon Coveney TD Minister for Agriculture, Food and the Marine, Michael Delaney Vice President Development – CIT, Sara Mackeown Commercial Marketing Port of Cork, Cathal O’Mahony Coastal Marine Research Centre, Ken Cotter Cork Harbour Web Designer and Josephine O’Driscoll, Failte Ireland. 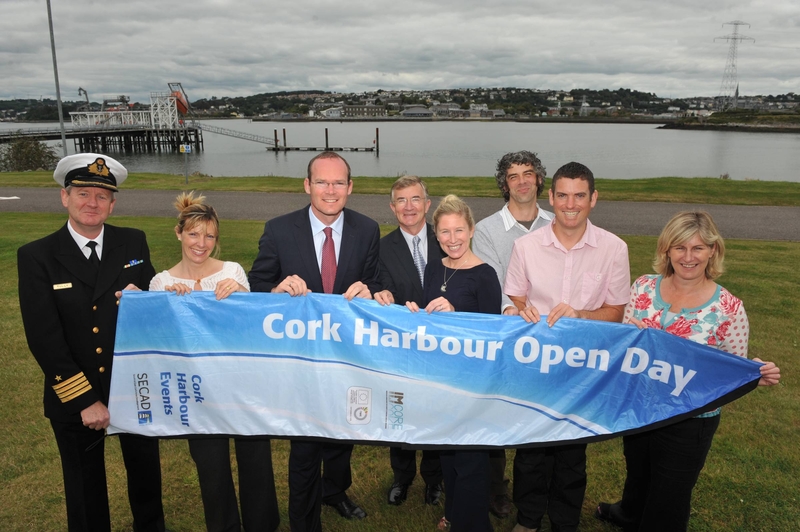 The idea for a Harbour Open Day emerged three years ago following discussions between various stakeholders involved in the development and implementation of the Integrated Strategy for Cork Harbour. A group comprising of representatives from UCC, City and County Councils, Irish Navy and the Port of Cork set about working together to engage with users of the Harbour and to organise the Open Day. Cork Harbour is the second largest natural harbour in the world, next to Sydney Harbour, offering beautiful locations for enjoying the outdoors, dramatic coastlines, and excellent leisure facilities, and is home to some very talented artists, sportsmen and women, and people who are passionate about the history, heritage and cultural value of Cork Harbour. If you would like to be involved in Cork Harbour Open Day or organise an event on the day, please contact Sara Mackeown at harbourevents@corkharbour.ie or 021-4625375.